….well maybe not, but some of it is crossed off! 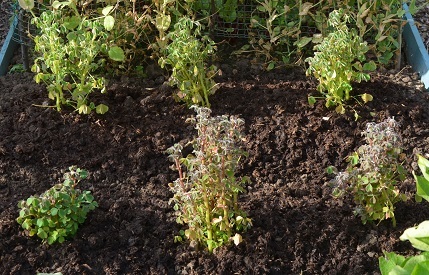 My long-suffering oca is now out and in the ground. There are 2 left over and Andie has said that she will give them a home (phew!). 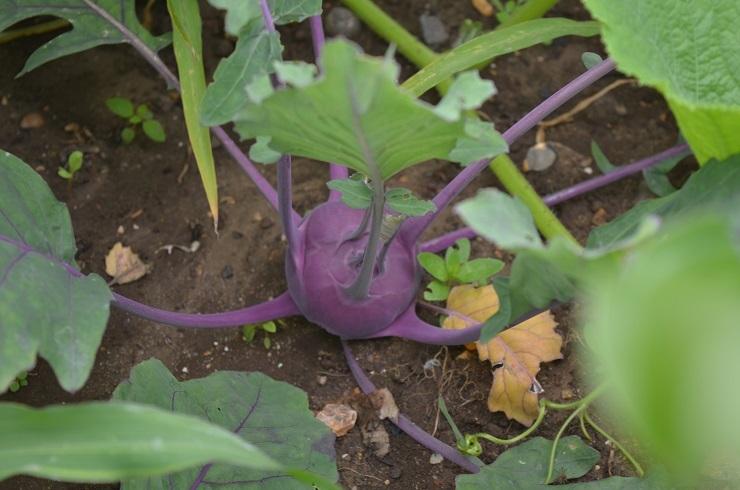 I am looking forward to seeing the huge amount of foliage appearing, and hope that the test to see if big seed tubers=crops of bigger tubers actually works. 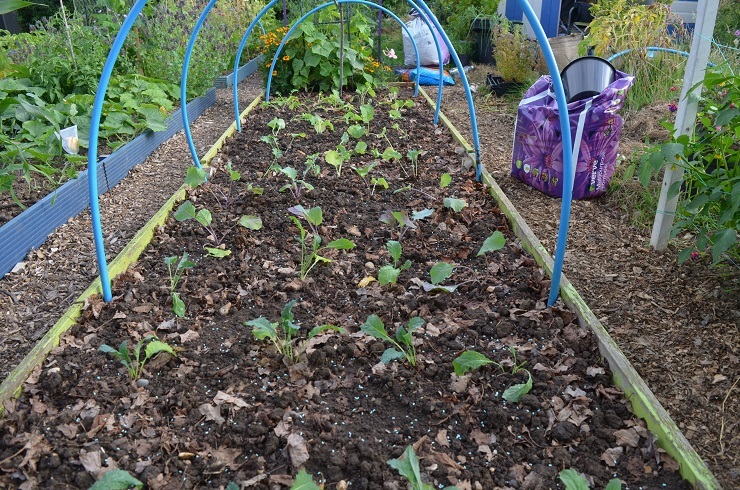 Also out in the ground are swede, turnips, Gilfeather turnip, Shetland kale and Nero di Toscana. Now covered in enviromesh. The sprouts, leeks and PSB haven’t made it yet. I am going to have to pot them on and hope that’s ok till some more ground is ready. The last redcurrants have been harvested and are being munched at home. It means the fruit nets can finally come off and my plot is fleetingly almost netting-free! It feels a lot better to have it all down again. I am going to move one of the cages down to #92 to cover the autumn raspberries in a couple of week s if the pigeons/blackbirds display the remotest interest at all in them. On which note there is a very cunning blackbird feeding either a fledgeling or a female with bits of Lionel’s figs. He is very brazen about it. It’s also very hot work – I managed to catch a shot of him trying to cool down. 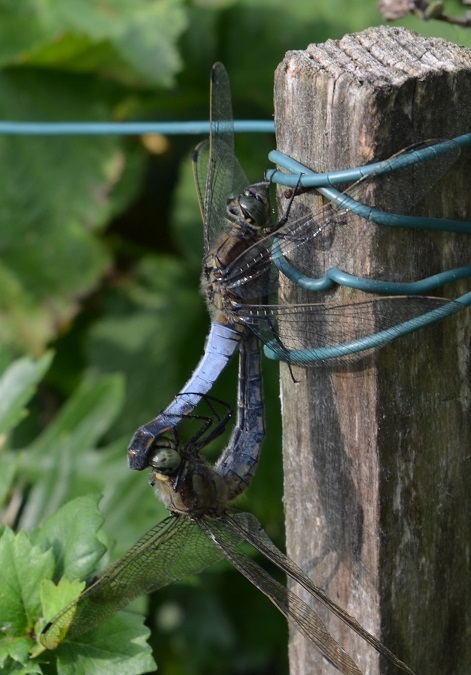 It’s also very obviously still the season for sap to be rising… There are butterflies chasing each other all over the plots, cinnabar moth caterpillars hanging off nearly every ragwort, and my neighbours spotted 2 black-tailed skimmers perched on a fence post. They were there for ages, which caused a fair amount of comment amongst the laydeez!